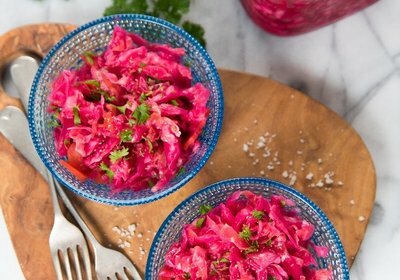 Fermented foods are constantly promoted for their health benefits, particularly when it comes to improving digestion, gut function and the balance of good bugs living in our gut. In the past, these benefits have been attributed to the probiotics, or beneficial bacteria naturally found in fermented foods like yogurt, kefir, sauerkraut and kombucha. But what if there is another side to the fermented foods story? One which until recently, has received relatively little attention…. As well as probiotics, fermented foods generally contain the by-products of bacterial fermentation – namely acetate, which is the main organic acid responsible for the sour taste of many fermented foods. 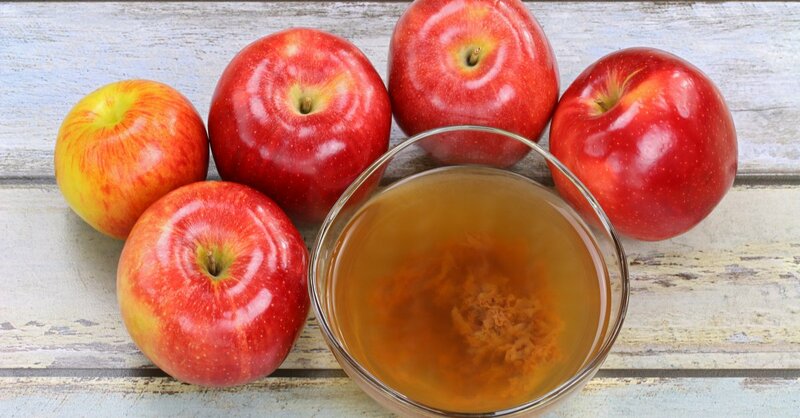 Apple cider vinegar for instance is a fermented liquid that is a particularly good source of acetate (1). Acetate, like its big brothers butyrate and propionate, is a type of short chain fatty acid (SCFA). You may be familiar with the term SCFA, which are produced by beneficial bacteria in our gut as a by-product of the fermentation of dietary fibre (2). It is these SCFAs that appear to act as an intermediate between our gut microbiome and the rest of our body to deliver health benefits (2-4). For example, butyrate is used as a major energy source by the cells lining our gut, helping to keep them healthy and functioning at their prime (2). In recent years, scientists have turned their attention to studying SCFAs and exactly how they confer health benefits. Although human research is still in its infancy, there is ample animal data to suggest that SCFAs play important regulatory roles within our immune system, particularly when it comes to reducing inflammation and allergic responses (3-4). 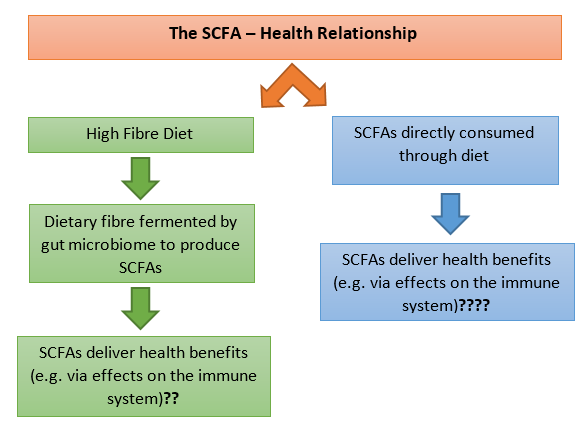 Whilst all of the research so far points to the importance of consuming a high fibre diet for optimal SCFA production in the gut itself, there remains a huge question mark around how dietary sources of SCFAs might also play a role. For example, can a dose of acetate from drinking apple cider vinegar have any direct effects on the immune system in humans? Paul Gill, one of our students here at Monash University is currently conducting his PhD on this very topic. 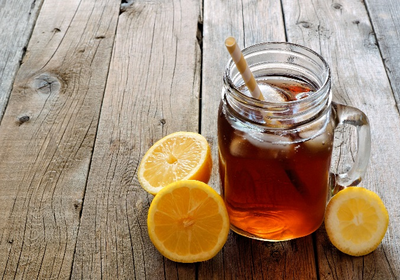 Up until now, the actual amount of SCFAs contained in different foods and beverages was largely unknown. Paul’s research so far has seen him develop methodology for quantifying levels of SCFAs in different foods and drinks and he has now developed a database with over 30 different fermented foods and drinks. Paul now plans to explore the immune effects of high dietary sources of SCFAs in human trials. We hope that this research will add to our understanding of SCFAs and whether oral sources are of any additional benefit to a high fibre diet. Wong JMW, de Souza R, Kendall CWC, Emam A, Jenkins DJA. Colonic Health: Fermentation and Short Chain Fatty Acids. Journal of Clinical Gastroenterology. 2006;40(3):235-43. Rooks MG, Garrett WS. 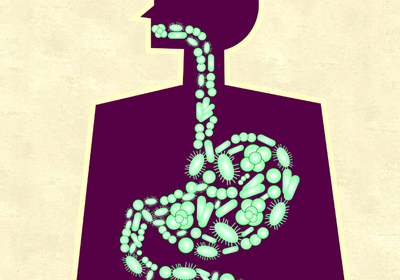 Gut microbiota, metabolites and host immunity. Nat Rev Immunol. 2016;16(6):341-52.